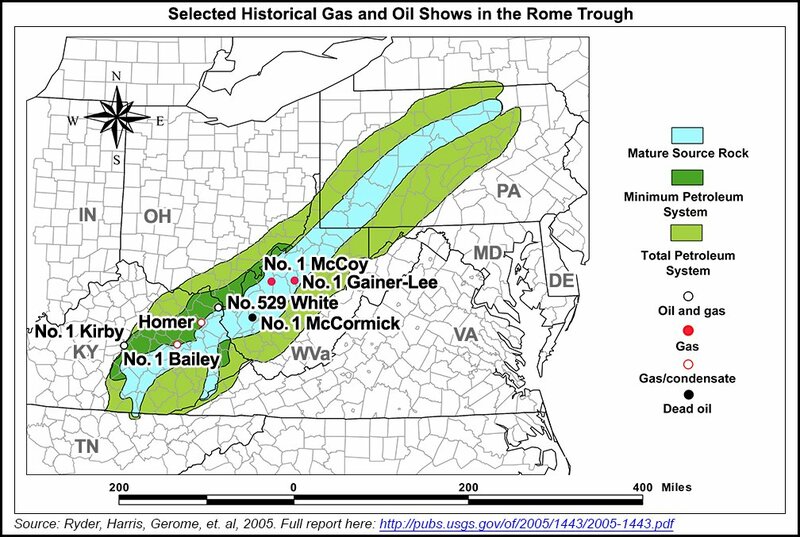 The fracturing operations of the Marcellus shale gas exploration and production in West Virginia began 10 years ago in Wetzel County, in the Northwestern part of West Virginia. It remains a major center of natural gas activity. Since I live in the center of Wetzel County, I was interested in reading the recent article in The Herald-Dispatch about the success story on Cenergy manufacturing company located in Milton. It is definitely good to know that there is an expanding, well managed business, providing professional design and manufacturing to the shale gas industry. Cenergy provides good jobs and is benefiting from the shale gas operations taking place to the north in the active gas field. Unfortunately, the unemployment rate here stays well above the West Virginia average. Here, we live in what is called the sacrifice zone. That means your gain is our pain. Any time there is a new target of drilling opportunities like the Rogersville shale in the Cabell and Wayne counties area, the same industry sales and marketing pitch is broadcast. A leasing frenzy starts. Wetzel residents heard all the landsmen’s partially true promises of the natural gas industry when Chesapeake Energy first appeared here to claim rights to dominate our rural communities. And like most advertising and public relations strategies, there is always a sliver of truth to the tale. We should always think twice when an industry needs to spend millions of dollars to tell you it will be marvelous to have their industrial operation in your residential or farming neighborhood. Landsmen have the script memorized. The general themes go like this. Shale gas drilling and fracking is: a dependable, proven technology; fundamentally safe; delivers cheap, clean fuel; and will create jobs and be an economic boon for West Virginia. Before Cabell residents swallow these statements whole, we might wish to dissect them. Is this a proven process? 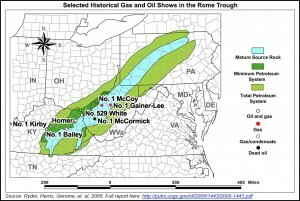 Well, when Chesapeake invaded Wetzel, we were definitely a shale gas guinea pig in the state. The process we experienced was not 50 years old. It was still very much experimental. The process is improving now. It has gotten better in some respects. But keep in mind that any time the fracturing equipment fleet shows up with canisters of Cesium 137 on them, this is definitely not your grandfather’s well drilling. These newer well bores need high-volume, high-pressure slick water fluids for fracturing their very long laterals. Your grandfathers’ wells were safe and simply vertical only. And the low level radioactive drill waste products now should have some special disposal requirements. These “advertised as safe” wells have had their problems with gas releases due to well blowouts, explosions, fires and accidents. But unlike local chemical plants contained within walls and roofs, these accidents happen in our communities. What about the clean fuel claim? Yes, it is true that natural gas, when finally burned, is cleaner that coal when it is burned. Unfortunately, that is a very narrow slice in the overall cradle-to-grave environmental impact and is hardly the only metric to use. It is a very narrow window to look through. Also, to categorize shale gas as a safe fuel requires us to ignore the diesel fumes from over 30,000 horsepower of fracturing pump engines and the subsequent combustion fumes from the well pad gas processing equipment. And for the cheap fuel label to be true, we must ignore the major externalized costs to public health, water quality and exposure to silica dust. We must also ignore the daily community inconvenience to the traveling public and the public costs to repair infrastructure damage caused by oversized vehicles. And these funds might have to come from an already stretched thin general state budget. After 10 years of drilling, we are still a poor state. So much for the economic boon from shale gas. Some free advice from the sacrifice zone in Wetzel to prospective targets in Wayne and Cabell: Do your homework. Residents living there above the Rogersville shale must become better informed; review the 10 years of drilling history here. Discount the self-serving sales pitch of the natural gas industry. Consider the future you wish to leave to you grandchildren. And try to resist the flash of cash since there is no hurry to sign any lease. The Rogersville shale is not going anywhere soon. It can wait until you are better informed. Bill Hughes, a resident of Wetzel County, WV, has been monitoring the Marcellus shale development from the beginning. During the 1970s, Exxon drilled an oil and gas test well into the deep Rogersville Shale layer beneath Wayne County, WV, in the Pritchard area. More recently, the Kentucky Geological Service evaluated these Wayne County test samples and issued a 2014 report, concluding that a “viable petroleum system exists in the Rogersville.” Results also showed natural gas (methane), and natural gas liquids. At least 19 companies hoping to profit from fracking the Rogersville Shale have leased land in Kentucky and West Virginia. Cabot Oil and Gas alone has leased close to a million acres in southwestern WV. But people who live above the Rogersville Shale should know that in Pennsylvania, where Marcellus Shale fracking started several years earlier than it did in northern WV, landowners and the PA Department of Environmental Protection disagree on how many private wells are contaminated. But even the PA DEP has written that 245 sites are potentially contaminated by fracking. Earlier this year, Marathon Petroleum bought MarkWest, a pipeline and fracking services company. We found an online report indicating that Marathon and MarkWest have budgeted $1 billion to develop infrastructure for the Rogersville Shale. We have no indication of when Marathon plans to begin this work. A January 2016 Marathon Petroleum presentation to investors indicated that Marathon is well positioned to “capture export possibilities.” Today, the hills next to Marathon’s KY refinery are being leveled. Low prices for oil and gas have slowed down new Rogersville development. However, this past August, Cimirex/Bruin Energy announced a town hall meeting in Louisa, KY (adjacent to Wayne County, WV), to discuss drilling its next Rogersville Shale deep well. Some of these wells have been drilled, but shut in (temporarily closed) due to low prices. All of the modern wells seem to be at least 14,000 feet deep. All were permitted in the past few years. Here’s a list of the Rogersville Shale wells we know about at the moment. West Virginia, Wayne County — Exxon test well near Pritchard, WV, drilled in the 1970s. Results from this well generated the current interest in the Rogersville. Putnam County — Cabot Oil & Gas vertical well has already produced dry gas (methane). Hardrock Exploration 1- Permitted as a test well. Kentucky, Lawrence County (adjacent to Wayne County, WV) Chesapeake Energy has two vertical oil and gas wells already permitted. The Northrup well is permitted for a 5,200 foot horizontal well. Shut in. Bruin Exploration 1 Walbridge test well. Both this well and the Chesapeake Northrup sit on the border of Wayne County, WV. Bruin Exploration 1 Young (Cimirex) — Drilled with slickwater frack (677,000 gallons of fluid, 600,000 pounds sand), 576 foot interval (this means that separate fracking operations would take place at 576 ft. intervals along the well). Permitted for 14,000 deep vertical well and 4,800 feet horizontal lateral well. Shut in. Kentucky, Johnson County Horiz. Tech. Energy (EQT) — One horizontal well. In addition, permits have been granted for three more KY horizontal wells.